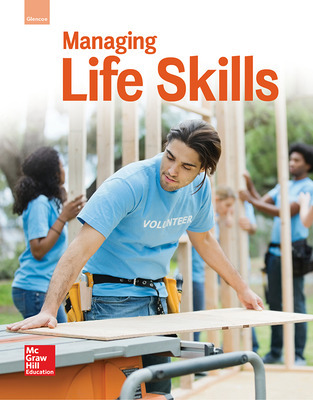 Managing Life Skills builds students’ independent living skills and prepares them for success beyond high school. Throughout the course, students will prepare for independent living, develop interpersonal and management skills, recognize healthy food choices, and much more. 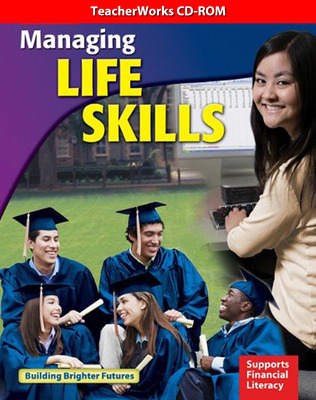 Help students plan for their future by choosing Managing Life Skills. 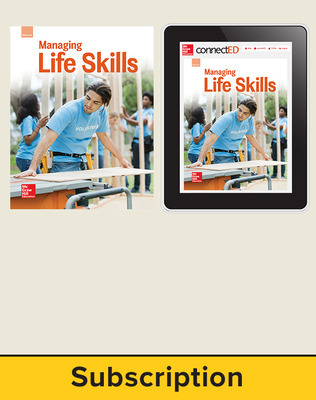 Managing Life Skills © 2016 features online resources on the MHE ConnectED platform empowering teachers to easily teach, manage classroom assignments, and engage students. Teachers can access the student eBook, digital resources, assessment and planning tools in one convenient location. 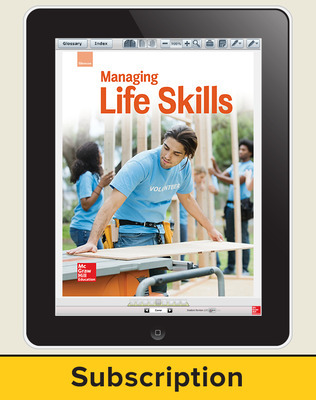 Print teacher editions are available print-on-demand on Create™.